Simple lines best describe this case, which offers a flat-top pediment with a nickel finished molding. The white dial features a nickel finished bezel with simple-styled hour markers and hands. Finished in Urban Casual on select hardwoods and veneers. 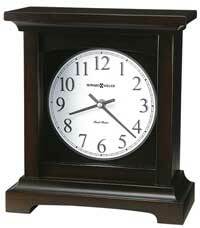 Automatic nighttime chime shut-off between 10:00 pm and 7:15 am. 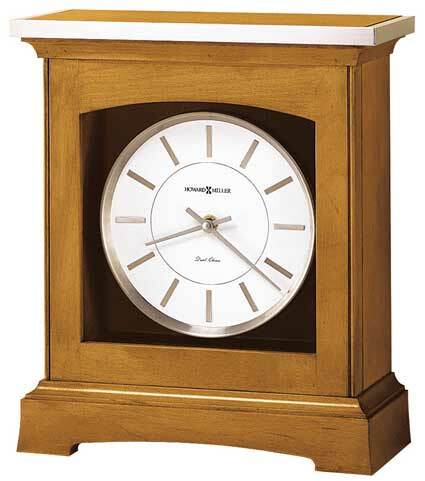 Quartz, dual chime movement plays Westminster or Ave Maria chimes, and features volume control and automatic nighttime chime shut-off option. 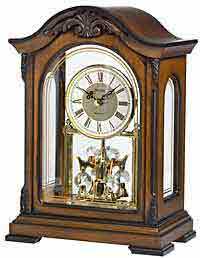 Clocks for sale at The Clock Depot including the 630-159 at discount prices.